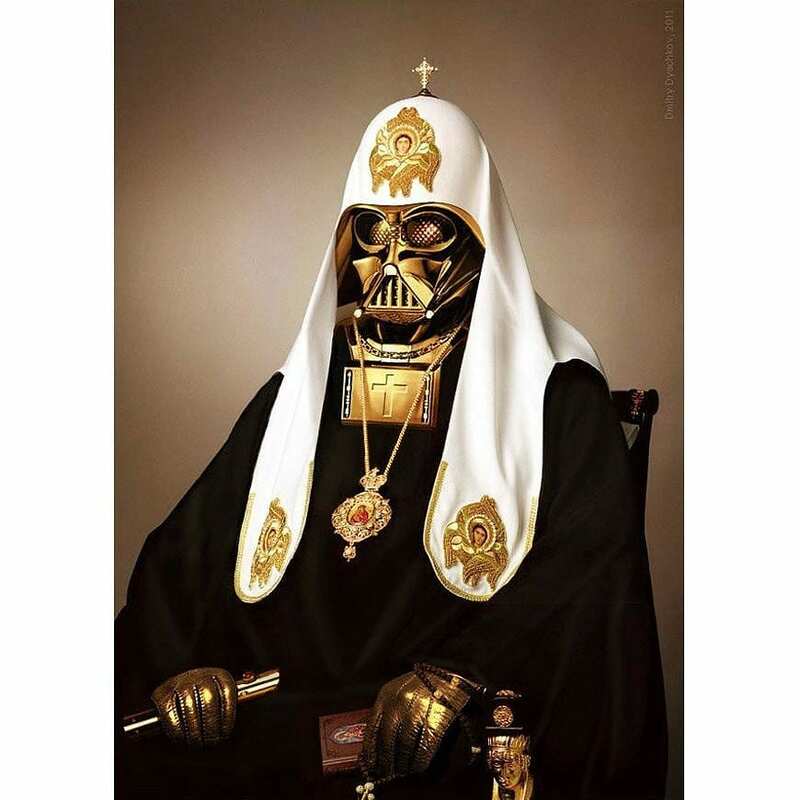 Russian artist Dmitry Dyachko took the image of Patriarch Kirill I of Moscow and combined it with that of Darth Vader. 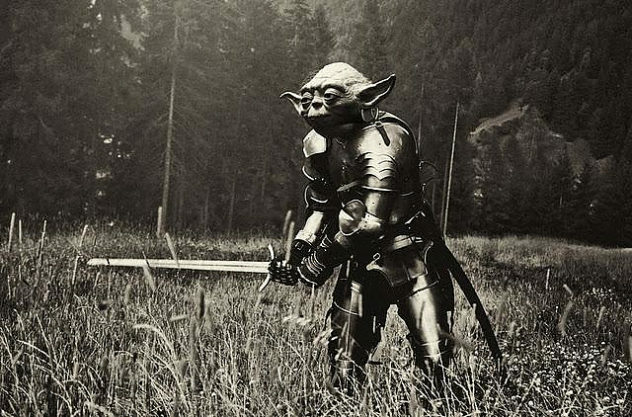 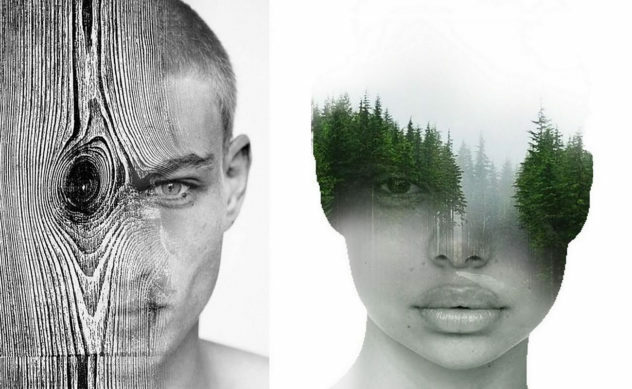 Photographer Danil Polevoy creates amazing photo collages which blend modern symbols with images of the distant and not so distant past. 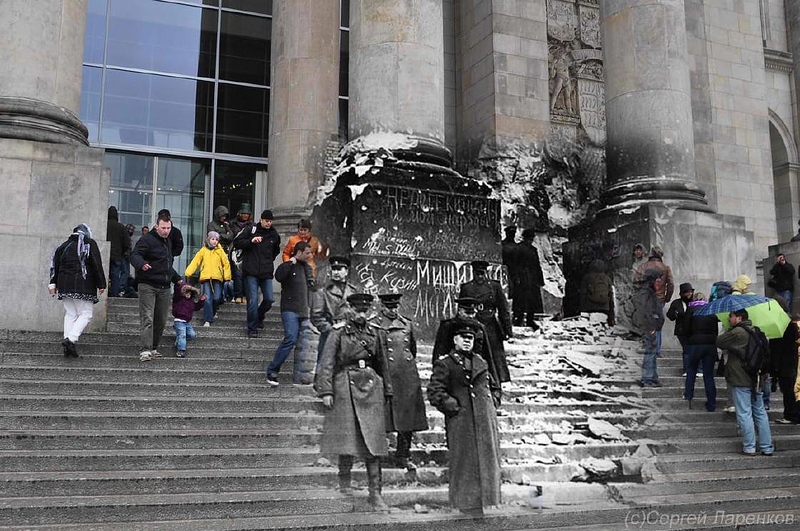 Photographer Sergey Larenkov overlays WWII-era photographs on their corresponding modern settings creating striking images where the past meets the present.